When someone is bitten by a werewolf on the next full moon they'll go through some changes. Those changes being an increase in hair, long sharp teeth, and wolf ears. You have a couple options once you're on this path. You could be one of those people that asks their significant other for help when the full moon rolls around, asking them to tie you up in a cage to stop you from wreaking havoc in your town. Or, you could drive yourself out to the woods, away from people and have fun with it. One thing is for sure, if you're trying to fly under the radar stay away from plaid, werewolves always wear plaid! Next time you're embracing your wolfish side, make sure all of those wolfish details are covered. The face is easy, the hands are usually hairy, and sometimes people even remember that gnarly chest hair. 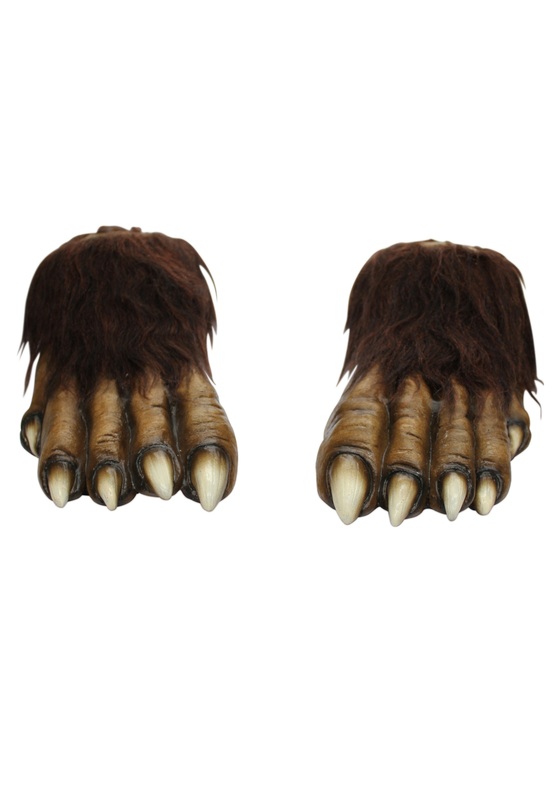 And first and foremost, you've got to remember those vicious looking hairy feet.